Members of the North Korean girl band Moranbong canceled a series of concerts in Beijing just hours before they were due on stage because Chinese President Xi Jinping decided not to attend, a senior government official here claimed Thursday. The official said Xi and other top Chinese government officials had been scheduled to attend the first overseas concert by North Korean leader Kim Jong-un's favorite band. The concert was to be part of efforts to mend frayed relations. Chinese officials watched a rehearsal before Xi attends the concert and asked the North Koreans to omit footage projected on the background of a North Korean missile being launched. But the North Koreans resisted. The Chinese officials then warned that Xi would not attend unless the footage was scrapped, whereupon the North Koreans packed up and left. 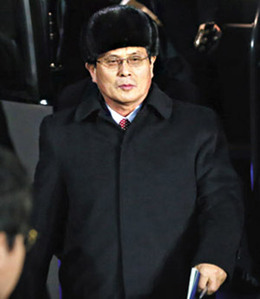 North Korean state media have not mentioned the cancellation, though they widely publicized Moranbong's departure to Beijing on Dec. 9. What Is N.Korea's Moranbong Troupe?